With no end in sight for the government shutdown, it’s all hands on deck. Congressional leaders are pushing for relief, the Food and Drug Administration (FDA) has its hands tied in trying to deal with routine inspections, and other agencies -- like the IRS -- are doing their best just to keep up with commitments to consumers. One consumer segment greatly impacted is the travel industry. Airports, national parks, and others are taking a $100 million hit per day and the traveller is feeling the brunt. While the flying public depends on pilots and air traffic controllers to get them up and down safely, consumers are powerless to do much regarding the shutdown’s impact on travel. But the National Air Traffic Controllers Association (NATCA), for one, has apparently had its fill. The association filed a lawsuit in United States District Court on behalf of its members who have not been paid for their work since the Federal Aviation Administration’s (FAA) appropriations lapsed in late December. "Every moment of every hour of every day, the skies of the United States are overseen by the hardworking employees of the United States Federal Aviation Administration ("FAA")," wrote the association in its complaint. "Each day, the FAA's Air Traffic Controllers are responsible for ensuring the safe routing of tens of thousands of flights, often working lengthy, grueling overtime shifts to do so. In fact, plaintiffs' job is so demanding and requires such rare skills that the FAA struggles to maintain a full complement of certified Air Traffic Controllers, even under normal circumstances." In trying to make a point, the association tells the story of Amanda Fuchs of Orlando, Florida -- a single mom employed as an air traffic controller and one of the plaintiff’s in the case. In Fuchs’ particular situation, she has two things to fret over. One is not being able to afford needed physical therapy in light of upcoming pelvic surgery. Another is not being able to attend her grandmother’s funeral that came in the middle of the shutdown. "Others have been unable to afford crucial medical care for immediate family members, while yet another plaintiff will be unable to provide payments owed to a former spouse that could result in a violation of a court order and the subsequent loss of his required security clearance. Several of the individual plaintiffs will not be able to make loan repayments to Thrift Savings Plans, which may result in penalties," wrote the association. The plight of air traffic controllers doesn’t seem lost on anyone -- not even Hollywood actors. One such star -- Zach Braff -- drew attention to the situation on Twitter. "The job of an Air Traffic Controller is extraordinarily stressful. One mistake can be catastrophic. They shouldn’t be having sleepless nights about how to pay their bills. They shouldn’t be anxious. We are treating kings and queens like pawns," Braff tweeted. The NATCA estimates that close to 3,000 of its FAA employees are furloughed and not being paid. 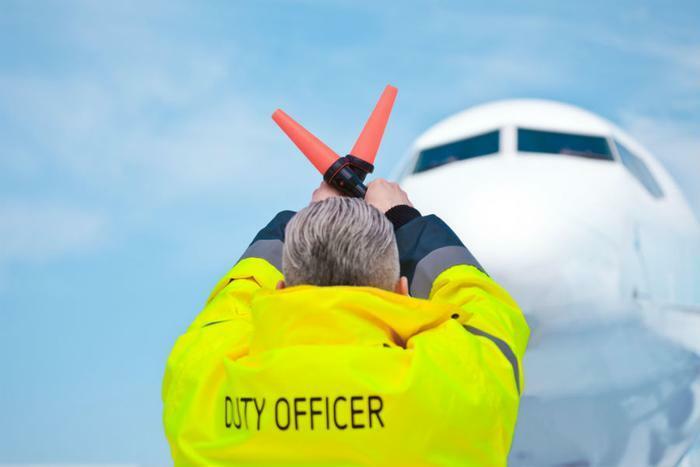 It’s reported that air traffic controllers will continue to work, but support staff, maintenance staff, and technicians have all been sent home without pay.